You know me as Dan’s Papers’ fearless wine writer (or the owner/editor of LENNDEVOURS), but Monday through Friday, I play a very different role – that of an Internet marketing manager in the high technology industry. Rarely do the two careers cross paths, but my experience with the local wine industry’s Internet marketing initiatives (or lack thereof) has finally driven me to consider Long Island's wine region from my “day” job’s perspective. Simply put, the Long Island wine industry deserves good grades for its wine, but when it comes to using the Internet to promote itself and its wares, it gets an F.
Don’t get me wrong. This is a bit of a generalization because there are a few websites that do a better-than-average job of telling their story, but they are the rare exception. More often than not, winery websites are poorly designed, offer no interactivity and get updated once every year – if we, as visitors, are lucky. Most local wineries don’t have the money to hire a full-time marketing manager, let alone a Webmaster, but there are some simple things every winery owner and general manager can (and should) do to improve their websites and email marketing. This requires very little effort in the grand scheme of things and can bring big returns – particularly now that the rest of the country is being introduced to Long Island wine for the first time. Your website is your number two way to build brand and customer loyalty (your wine being the first one). Build a Website. In this day and age, the first place most people, especially those new to wine and in their twenties and thirties, are going to look for more information about you is the Internet. You need to be there. Update at Least Once a Month. There is nothing worse than a website that is obviously out of date. Some Long Island winery websites list wines from vintages that have been sold out for months (if not longer) and feature events calendars that highlight events from last spring, but offer no information on upcoming ones. This information doesn’t do any visitor any good and it makes you look like you just don’t care. If You Offer an Email Newsletter, Actually Send One Out. As a local wine writer and lover of our wine region, I’ve signed up for every email list I can sign up for. How many emails do I get every month? One……maybe. 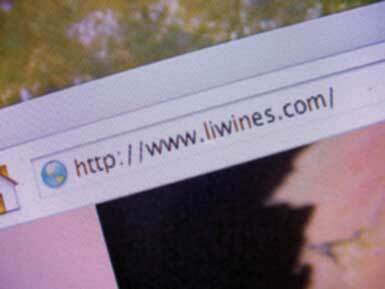 People sign up for your email list because they are interested in your winery and its happenings. Take advantage of that and talk to them – again, at least once a month – and make them feel a part of your winery’s family. Make Buying Wine Easy. Most existing winery websites offer some sort of ordering functionality, but most are antiquated and so convoluted and tedious that people are going to give up long before their credit card gets charged. Upgrade your eCommerce system and make it easier to use. This may not be as important to local customers, but if someone from the Bay Area reads about your wines in the San Francisco Chronicle and wants to buy some, why make it difficult? If you do, they’ll just buy from someone else who does. Check Your Email Every Day. We all have busy lives and the life of a winemaker or general manager is no different. But potential customers are probably sending you email to the address listed on your website, so you should check it every single day. Again, this is about building relationships with your customers. They are important to your success – treat them that way. The same is true for “Contact Us” forms. It’s annoying to fill out a form and click “submit” only to never hear from anyone at the winery again. These are just a few general suggestions because every site has its own strengths and weaknesses. 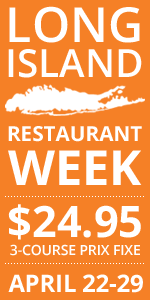 The Long Island Wine Council site (www.liwines.com) is pretty good, as are the sites for Macari Vineyards, Wolffer Estate, Bedell Cellars and Galluccio Family Wineries. But overall, Long Island wineries are missing the boat. The Internet is the most powerful marketing tool in the world – and one that is relatively inexpensive. It’s time that everyone start taking advantage. You have hit on one of my big pet peeves, especially for a lot of the Finger Lakes wineries. I just can not believe the lack of updating on the websites. I understand that it takes time to collect one's thoughts and input them on to a website and I'm sure the wineries will say they are more focused on making great wine than making a great website. But I believe it is costing them sales to not put a little more effort into the websites. Although it may not yet belong there, you should soon add "blogging" to your list of must-do activities for a winery's website. There's a few that have been professionally encouraged, like Stormhoek, but others are starting to emerge more organically. Personally, I really like reading the more casual thoughts of the owner or winemaker or whoever is contributing, much as I like meeting these people when I visit a small winery. You're absolutely right. In fact, I had that in the first draft of the story (it was printed in Dan's Papers locally) but took it out...mostly because I think that is the next stage AFTER they do the things I eventually listed. 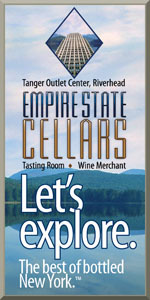 I think you'll see at least a couple LI wineries start blogs within the next 12 to 18 months. A couple have contacted me asking about it, in fact. I think you're absolutely right. I know that when I hear about a new winery, the first thing I do is check their website. And, in this day and age where interstate shipping is more possible, it's silly not to have a web presence. There's a way for wineries with (or without) a Web site to improve their Web-based marketing without spending a penny. Admittedly, my comment is self-serving, but it's also true we offer a unique marketing service that benefits both consumers and the wine/food industry. Does anyone know where I can find good witchcraft love spells. I lost my lover and need relationship help. Internet marketing can be profitable for all kinds of businesses.That's why I think people should spend soem money to get a marketing manager to help them because this could be a vry successful step.